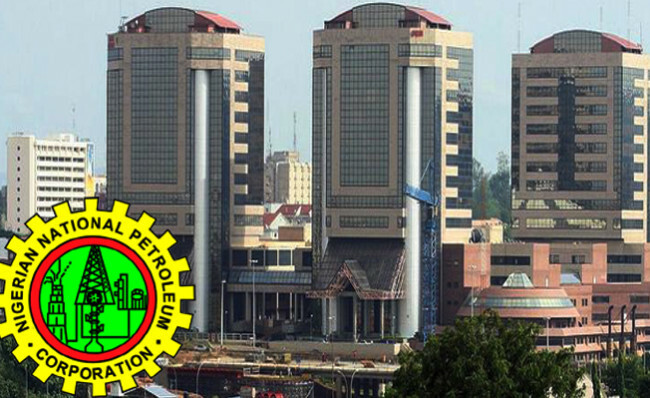 Into four major unit was the Nigerian National Petroleum Corporation (NNPC) been broken into. Minister of State for Petroleum Resources Dr. Ibe Kachikwu yesterday announced the new structure at a briefing in Abuja. According to The Nation, the minister, who is also the Group Managing Director of the organisation, said President Muhammadu Buhari approved the restructuring. He told reporters that the restructuring will not lead to job losses. The four units are: Upstream Company, Downstream Company, Refinery Company and Gas/ Power Company. According to him, the Upstream Company will now comprise of NPDC and the IDSL. The Downstream Company consists of Retail, NPMC and NPSC, the Refinery Company consists of WRPC, KRPC and PHRC while the Gas and Power is now made up of NGPTC, NGMC and Gas and Power Investment. Kachikwu said the Federal Government has approved the appointment of Chief Executives for the companies: They are: Bello Rabiu as CEO of the Upstream Company; Henry Iken Obih for Downstream; Anibor Kragha for Refineries and Saidu Mohammed for Gas and Power. He denied announcing the unbundling of the corporation into 30 companies, saying the GMD is still the Chief Executive of NNPC. The minister attributed the cause of fuel scarcity to the independent marketers that have refused to import petroleum products that now resulted in NNPC embarking on 100 per importation and supply instead of 50 per cent. He expressed hope that within one year, the NNPC would overcome fuel constraints and exit importation of products. He said the corporation has now embarked on supplying one cargo of products daily. Three refineries, he said, are configured now to produce 50% of PMS and 50% of other products. “The hope is that at the end of the month, the three refineries would have got crude and begin to work. Hopefully, that will soften the pressure,” he added. The minister explained that even if the refineries are producing at 100 per cent installed capacity there will still be supply gap, stressing that this situation can only be ameliorated when there is completion of Greenfield refineries and modular ones that could be coupled for production. He said the refineries are operational, they will increase products to a level that Nigeria will commence building a reserve of refined products. According to him, with the efforts being made to build modular and greenfield refineries Nigeria is targeting fuel export by 2020 when Dangote Refinery becomes operational. The minister said “when the refineries begin to work, we will see how we can save up and continue our importation process and save up strategic reserves so that in the month of difficulties you can reach out to those before you get your next set of import. On whether government has removed fuel subsidy, he said there is no removal of subsidy but price modulation. He noted that the government is now saving from the price modulation and it could use the savings to stabilise the market when it is necessary. According to him, the government will further review the prices of petrol by April, which may lower the cost of fuel. He said he will always support a reduction of supply by members of the Organisation of Petroleum Exporting Countries (OPEC) in order to increase the price of crude.